Who’d have thought a frog could teach us a thing or two about sexual acrobatics, apart from Miss Piggy that is? On the whole, frogs and toads are sexual conservatives – 7,000 species around the world indulge in just six different mating positions – but in June we were introduced to an entirely new one. 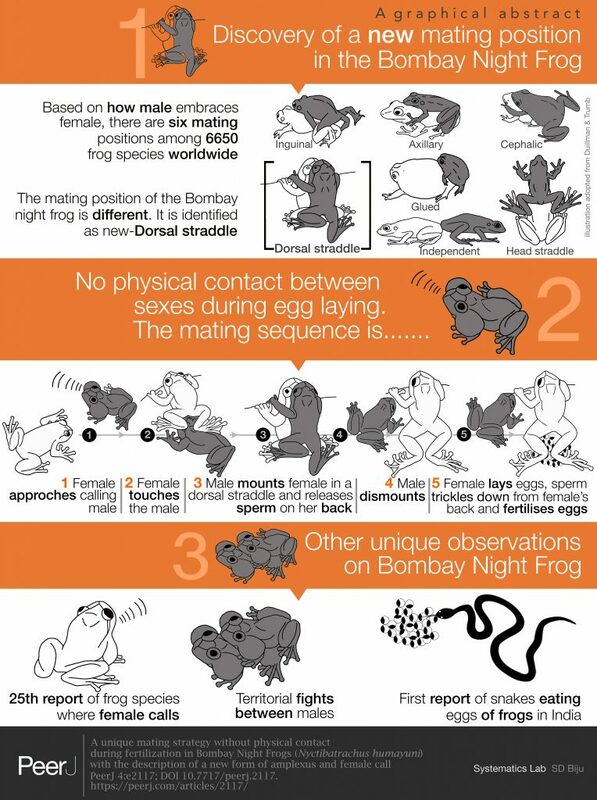 The Bombay night frog (Nyctibatrachus humayuni) mates in a unique position, named the dorsal straddle by the scientists who had the first pervy peep. 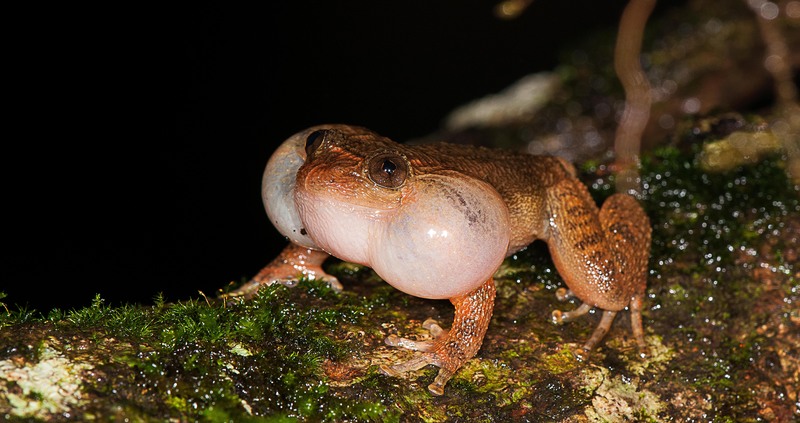 The first unusual feature of these frogs’ mating behaviour is that the female literally calls the shots – she’s the one who croaks to attract a male, rather than the other way round. Then, after battling other frogs to secure her, the male straddles the female’s back, hanging on to nearby branches or leaves to steady himself. Then, he ejaculates and leaves (ringing any bells ladies? ), leaving gravity to do the rest; his sperm trickles down her back until it reaches her eggs and fertilises them. So there’s no contact between the male and female when fertilisation itself takes place. To be honest, I’m not sure it’ll catch on.